It’s normal for teeth to become less vibrant over time. 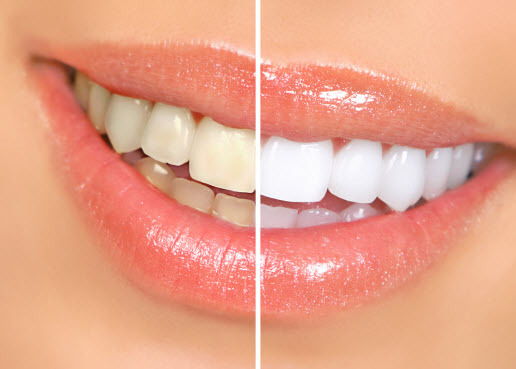 If you’re dissatisfied with the color of your teeth, professional teeth whitening could be the answer. The Haddonfield Dental team is committed to helping patients enjoy healthy, beautiful smiles. Our teeth whitening service is simple, effective, and produces stellar results thanks to our experienced dental professionals. Why wait to enjoy a more radiant smile? Schedule your next visit to our inviting Cherry Hill dental practice today! Even with regular brushing and flossing, teeth can become stained over the years. Many people feel unhappy or even embarrassed as their teeth go from pearly white to yellow or even brown. You may have tried other whitening products like toothpaste or white strips, but if you still aren’t seeing the results you hope for, it may be time to consider professional teeth whitening. With professional whitening, you can expect noticeable, even results – often in as little as an hour. Those who smoke or use tobacco products can also develop yellow stains, which can be lifted by whitening as well. Sometimes teeth can become yellow from something other than stains, such as aging, illness, certain medications, and damage to the tooth. This type of discoloration involves the deeper layer of the tooth, called dentin, so whitening may not be as effective. In such cases, a different cosmetic option, such as bonding or veneers, may be the better option for your smile. Professional teeth whitening uses a potent bleaching gel that breaks up stains beneath the tooth surface. With a custom-shaped tray, the whitening gel is evenly applied across each tooth, ensuring uniform results. How White Will My Teeth Get with Professional Whitening? Teeth whitening works by removing stains in the enamel. This means it isn’t changing the color of your teeth – rather, it restores them to their natural color. Natural tooth enamel isn’t pure white, but a pale, glossy gray or yellow. When you come in for whitening, the dentist will match your teeth to a color chart and give you a general idea of what shade you can expect after the whitening process. What Types of Whitening Does the Dentist Provide? There are two types of professional teeth whitening: in-office and take-home. Both use potent gels and custom trays, which are only available from a dental office. Choosing between the two will depend on what works out best for you. Is Professional Teeth Whitening Better than Over-the-counter Products? You may have tried one of the hundreds of whitening products available at retail, from toothpaste to mouthwash, whitening strips, and even light-powered whitening kits. These products can range from moderately effective to completely ineffective, depending on the product and whitening method. Some products, such as the toothpaste and mouthwash, are mild and safe for regular use. However, others can be damaging to your enamel if overused, causing tooth sensitivity and permanent discoloration. Professional whitening, whether in-office or take-home, uses a stronger whitening concentration because it is supervised by a dental professional. In the dental office, the team will carefully monitor your treatment to ensure that the results are even and to minimize sensitivity. With a take-home kit, the tray is custom-fitted to your teeth for even results, and we provide careful instructions on how to use the kit from start to finish. In short: over-the-counter products are great for touch-ups, but you’ll be safer and have lasting results with professional teeth whitening. Should I Get My Teeth Cleaned Before Whitening? Just like stains, plaque and tartar build up on your teeth over time. If you haven’t had a cleaning in a while, it’s likely that some of your discoloration isn’t staining, but tartar. Tartar sits on the surface of a tooth, covering the enamel. Not only does this invite cavities, but it means that if you whiten your teeth with, you aren’t even reaching the enamel at all, which makes your treatment less effective. Getting a cleaning beforehand ensures that all of your enamel may be treated, providing better results. Will a Cleaning Make My Teeth Whiter? It can, but only marginally. Dental cleanings remove plaque and tartar from your teeth, which is good for your health. The cleaning also finishes with a polishing, which helps your teeth appear healthier and more lustrous. However, if you have heavy stains from years of consuming coffee, soda, and other staining foods, a cleaning won’t have much of an effect on them. If you’re unsure of whether you need whitening or not, it can be a good idea to have your teeth cleaned first, and discuss your whitening options with our staff during your visit. After your teeth whitening treatment, you naturally want your white smile to last as long as possible! Follow these five tips, and you’ll be off to a great start. Limit staining foods and drinks. Keep your regular dental cleanings. Use an at-home kit for touchups before events. 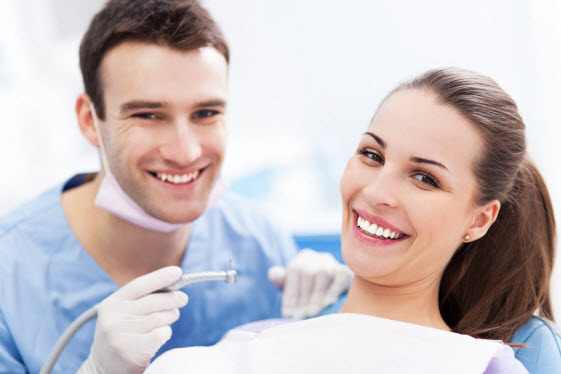 At Haddonfield Dental, we love helping our patients enjoy brilliant smiles through good health and great dental care. If a brighter smile is what you’re looking for, contact us and make an appointment today!